I thought I might as well do a posting of my Riley Elf build since there is this projects forum now. I have owned it since Summer of 2008 and love it. It was imported from New Zealand to California in the 80's by the previous owner. Her nick name is Biscuits McVitties , after my favorite cookies, however, I am changing it to LuLu or Penny. The idea of naming her Penny is due to me finding two pennies in the car. The first penny was found in the dash and is a pristine 1967 New Zealand penny, the other was a slighly tarnished New Zealand 1967 two penny that was found in the passenger buddy box. It has the original 998 that has been bored to 1014cc with a HS4 carb, 266 cam, flat top pistons and Cooper 12G295 head. Wheels have been powder coated in a sun gold color to emulate 60's racers. The suspension was hydrolastic, but was failing so I changed over to coil springs with some KYB shocks, adjustable lower arms and adjustable tie rods with poly bushes all around. Brakes are alloy spaced drums in the rear with four pot calipers up front and braided steel hoses all around. The header is a Maniflow Cooper freeflow with JetHot ceramic coating on it. Too bad the header is buried in the back of the engine, it looks tasty! Here is the almost complete motor. Picked it up from the engine builder on the 12th of April 2010. Final specification is a MiniSpares Evo 266 cam, 1014cc capacity with 9:1 compression ratio. 12G295 head with double springs and new valves. Lightened flywheel with new clutch, double roller timing chain , central oil pickup. It had a 123 distributor , but changed it out for a Pertronix unit (looks more period correct). Added at a super two core radiator and new plastic 11 blade fan to keep it running nicely for many years to come. Here is a shot of the fresh engine in place and the car on her fresh wheels. I changed the rear license plate lights from the bumper to the boot lid. The two little lights were ineffectual at illuminating the plate and worked better at shining light into the boot. I added a Mini style light to just above the plate. I also added some tasty new four pot alloy brakes and grooved discs. A large improvement over the twin leading shoe drums. I had a 13 inch Moto-Lita that was very functional and looked fantastic, but found a restored Les Leston. It is a 15 inch wheel and feels great. It is considerably lighter than the Moto-Lita, not sure by how much since I didn't weigh them out the difference in weight is discernible. And here is how she looks as of February 12. Was able to get some work done on the body and now she is a solid color again after many years of being a patchwork of colors. Now that I have a nice primer coat on I can see places that need attention. I was also able to get the OK from the department of motor vehicles to put my black and gold plates on the car! They look great and really give the car the vintage look she needs. The next thing to upgrade is the interior, but that will be done in a few weeks and will add the pictures when it is done. I will also need to get my mind made up on what color to paint her. One idea is a grey much like what she is painted now and a black roof and flairs. Last edited by whitebuffalo on Mon Mar 07, 2011 2:27 pm, edited 1 time in total. Wow! You do really nice work. Thanks! I am please with how the car is coming out. Also, thanks for making this new forum. Makes it easier for all of us to drool over others creations! I have a NOS Riley badge I bought in England for my 1.5 if you ever want to get a spare. Actually I would like to get a spare one. I am wanting to do something custom on the car with another badge. I also love the Riley 1.5. Been wanting one ever since I got my Elf. One day I will find one and import it. A member here sold his 1.5 a while back. It now resides in a local museum. PM me with an offer and I'll take a photo as well for you to see. Steve Simmons wrote: A member here sold his 1.5 a while back. It now resides in a local museum. Shame for such a fantastic car to be stuck in a museum. It should be out on the roads being driven as designed. Actually, the car pictured is a Riley 11/2 liter, a 1.5 is a totally different car. The 1.5 is is a sporty little saloon based on a Morris Minor floor pan with an MGA engine. 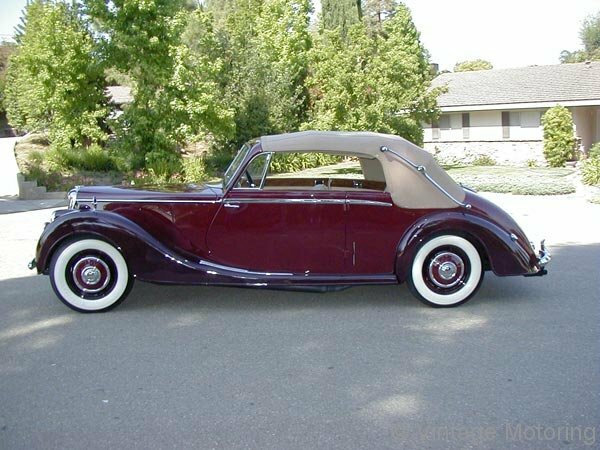 malcolmr18zoy wrote: Actually, the car pictured is a Riley 11/2 liter, a 1.5 is a totally different car. The 1.5 is is a sporty little saloon based on a Morris Minor floor pan with an MGA engine. Well, there is actually early version of 1.5 that are the RM 1950's based cars then there are the later ones from the 1960's made by BMC. I really like both, but the favorite is the 1960's version in either the Riley One-Point-Five or the Wolseley 1500. Would love to get a Riley One-Point-Five with a MGB 1.8 with a supercharger. That would be a great little runner! The point I was making was that the early RM cars were not known as 1.5s. They were known as 11/2 litres, or 21/2 litres. Your car looks nice but it sounds like you're trying to make it another Cooper clone ? (roof,flares,etc.). I really liked the look of it in the original green with bumpers etc. this looks to be a fine little car indeed . Well, can't really make it a "Cooper" clone. The original Coopers and Cooper S cars only had two tone paint, but no fender flares with regular Mini and Mini Deluxe models in single tone paint and no flares. The main reason for the flares is to cover the tread of wider wheels and wider track. I wanted to not have the flares, however, since I added disc brakes to the front the wheels stick out causing a silly look. The narrow 5 inch wheels are covered nicely with the period correct group 2 arches that I fitted. They also add a nice subtle accent to the sides without looking outlandish. Regular Mini and Mini Deluxe models had drum brakes and 3.5 inch wide wheels that kept the wheels/tires in the wheel wells. If I kept the drum brakes with the 5 inch wheels I would have still been able to keep the wheels under the factory arches, but the tire size would have been limited to 145/70/10's and I wanted the greater grip of the 165/60/10's. The car will have the front and rear bumpers once I get the car painted. As of yet I have still not fully decided on paint color. I have a short list now and will have to make my mind up. The original UK and European market Riley and Wolseleys had two tone paint as standard, with the South African and New Zealand markets having single tone as standard and two tone as an option. I have brought the color choices down to Porsche Blood orange with black flares or Oxygen blue (BMW MINI) with medium gray roof and black flares or Sky blue with black roof and flares. The final choice is dark red or maroon with gray roof and black flares. I always say , you're footing the bill so do it to suit your taste . That being said , I really liked the original colour scheme on this car . BTW : I need a decent $600 paint job on SWMBO's Toyletta before we give it to her grand daughter for College , anyone know where this can be done ? . The One Day Paint on Satacoy and Van Nuys Blvd is supposed to be good and can give a decent paint job for around the $600 price level. Their level two is guaranteed for three years for $499, the Level two is for $659 for a five year warranty. I need to get this done as grandaughter jumped a jet to Fla. just to - night , I'd like it done by the time she gets back in a week , she's auditing Colleges now and SWMBO is footing the bill , I'm not paying for any more repairs on this much hated Toyletta , I'd burn it if she'd let me . Saticoy & Van Nuys Blvd. eh ? .